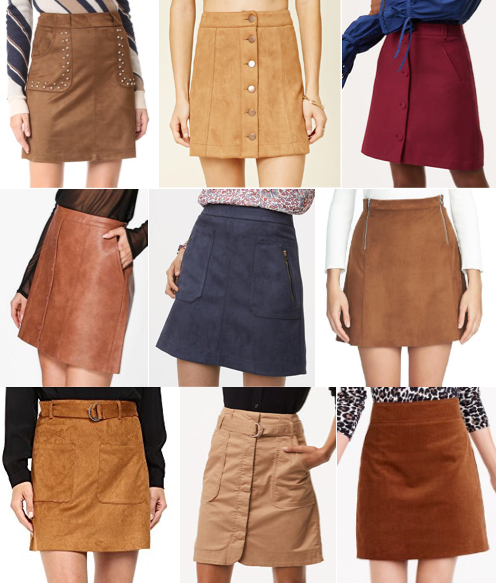 The goal for today's outfit was two-fold: to make a suede skirt (generally considered a fall trend) work even though it's still warm outside. And to make fringe accessories (generally considered a summer trend) work for fall. With the inspiration photo as my guide, the two trends meet perfectly in the middle of the seasonal shift, and make the transition seamlessly. I'm always looking for new ways to wear things in my closet, and I especially love when they cross into other seasons! Approx. dates: Shoes are 3 years ago. Skirt is 2 years ago. Top is a few months ago. Purse is recent.